Registration is Open now for JAINA Convention 2019. Please click here. With deep sorrow, with profound grief and with heavy heart, we would like to inform that Gurudev Chitrabhanuji at age 97 left his body in a peaceful state in the early morning of Friday, April 19th, 2019 - Chaitri Punam day in Mumbai, India and Jain Community lost a divine soul. He was surrounded by his family. Recently he was slowly recovering at home in Mumbai after a short hospital stay. JAINA sends heartfelt condolances to Pramodaben and the entire family. 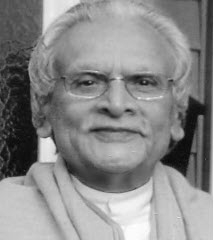 Pujya Gurudev will be remembered forever for lighting the eternal lamp of Jainism in the USA, instilling Bhavna of Maitri all over the world “Maitri Bhavnu Pavitra Zarnu...” will be in our hearts forever. Shri Chandraprabh Sagarji Maharaj whom we lovingly know as Gurudev Chitrabhanuji was one of the co-founders of JAINA - which represents all Jains without distinction of sects or the region. His departure is an irreparable loss to JAINA and the entire Jain Community around the world. Let's pray to God together for his soul to rest in eternal peace. We all will miss him forever. Jain All Party Parliamentary Group Chair and Harrow West MP, the Hon Gareth Thomas MP has secured a debate in the House of Commons titled "The Contribution of the Jain Community in the UK". It is a historic moment for Jains around the world. More information is given below. The Prime Minister of the United Kingdom sent her Best Wishes on Mahavir Jayanti to Jain community of Britain. See the Prime Minister’s message below. The Jain community has also received a message from Vatican City on the auspicious occasion of Mahavir Janma Kalyanak. Please send your entries by April 30th for an Essay Contest on "Jainism in 21st Century’’. Details are mentioned below. One should fight one’s inner enemies – passions, attachment, aversion, desires and the like. What is the purpose of fighting external enemies? Conquering the self through self-reliance leads to happiness. Q 1: What are the effects of Darshanavarniya karma? Q 2: How do you accumulate the Darshanavarniya karma? 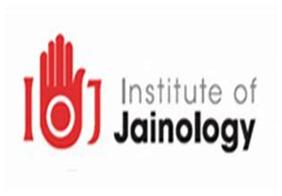 Institute of Jainology (IoJ) is delighted to announce that Jain All Party Parliamentary Group (APPG) Chair and Harrow West MP, the Hon Gareth Thomas MP has secured a debate in the House of Commons titled 'The Contribution of the Jain Community in the UK' on the 24th of April 2019 between 4 pm and 4.30 pm. This is indeed a historic and proud moment for the Jain community around the world. IoJ would be grateful if we can circulate this news in our community and encourage all to sign our Census petition which will be discussed at the debate. The debate will be live via https://www.parliamentlive.tv/ where many Jains and Jain businesses will be mentioned. 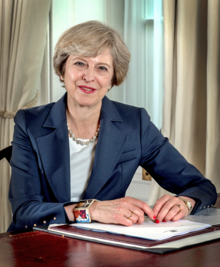 The Prime Minister of the UK, Theresa May, sent the following message on Mahavir Jayanti 2019 to Jain community of Britain. 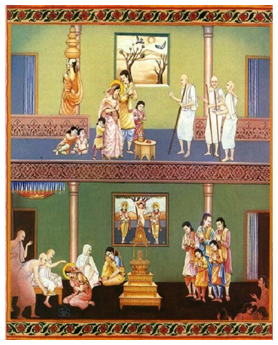 The Pontifical Council for Interreligious Dialogue, Vatican City, sends its most felicitous greetings for Jains to celebrate the 2617th birth anniversary of ‘Tirthankar' Shri Vardhaman Mahavir on 17th April this year saying " May this commemorative event fill your hearts and homes with happiness and peace and rekindle your spirit of fellowship and sense of responsibility towards one another." They further talked about grave concerns in our times arising from the alarming ecological crisis we are confronted with, and from the disquieting conditions of the poor and the marginalized in different parts of the globe, impelled them to share with us a thought on the compelling need before the Christians and the Jains to listen and respond to the cry of our mother Earth and of our brethren who go through the unending pangs of poverty and misery. 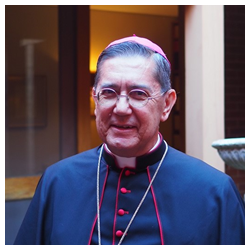 Read the whole letter from the Bishop Miguel Ángel Ayuso Guixot here. JAINA is back with Essay Writing Competition! Since JAINA Convention 2019 is just a few months away, we thought it would be interesting to let you share your views on the topic ‘Jainism in 21st Century ’. The best story will get published in our newsletter and at www.jaina.org. Please send your entries to jainahq@jaina.org by April 30, 2018. Articles should be in English language and a maximum of 400 words long in a word file. Writing style must be clear and easy to understand. Please write your name, address and phone number along with the story. Essay is welcomed from anywhere in the world. On March 2, 2019, YJP Houston kicked off its National Dinner in Sugar Land, Texas, where Jain professionals came together at Aling's Chinese Cuisine to network, enjoy vegan food, and discuss future initiatives for Houston, Dallas, and Austin. YJP thanks everyone for coming, and look forward to more events in the city. 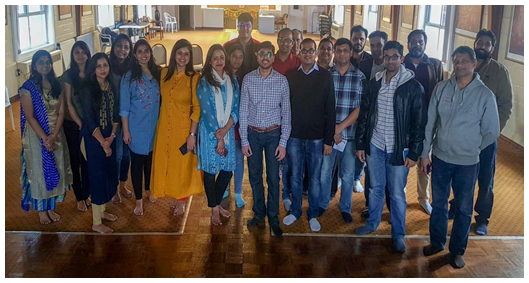 While on March 24, 2019, YJP Toronto facilitated the "Save Your Taxes" Workshop at the Jain Society of Toronto, a community event designed to help Jains understand the basics of tax and how to file taxes in order to optimize return. YJP thanks the keynote speaker, Monil Kapadia, as well as all the volunteers for their efforts in bringing this event to fruition. A 1: Blindness, incapacity of senses, intoxication with power, money, sleep or swooning, etc. A 2: Condemning the principles of religion and dharma; or depreciating them disrespecting the virtuous and decrying them. Always trying to find fault with such people. Condemning piety with the feeling of skepticism, and decrying them.